Beyond from the fact that the digestive parts of your baby are still sensitive and are not that ‘prepared’ yet for the foods that older children to adults can normally tolerate, you must also be aware of the fact that your baby belongs to the population that’s faced with a particularly higher risk of acquiring serious illness bringing long-term effects and worst, death as obtained due to foodborne disease- or simply, food poisoning. That’s why here at Panlasang Pinoy, we do not only offer you the best of the best, but as well as, those that highly considers your health concerns! Compared to adults, it is much easier to detect if something wrong is going on within babies’ system. Yet we don’t want you to reach that alarming point in your parenting life. That is why, as a solution, here we’ve constructed an all-in-list of foods that are not only allowed for the sensitive tummy of your baby, but most importantly, the healthiest options you could go for in that always pursuit of giving them the nutrients they need and are guaranteed to supplement these angels any possible nutrient deficiency that they are either already experiencing or they might possibly be experiencing. Again, there is a sea of “qualified” foods for your baby, but the question is, which among them stands out? Which among them are definitely the best? It must be noted that this list should be followed with just the right amount of cautiousness- what does this means, huh? The foods we’ll be having on the list below are mostly solid that is why, introduction of these foods should be within the timeline as suggested by pediatricians. As for now, there’s one rule that Panlasang Pinoy would want you to remember- that is “1 is to 3 Rule”. For every single (1) solid that you’ll be introducing to your baby, make sure that you’ll dedicate at least 3 days for observation- also as a gap for another food that you wanted to introduce. With no further ado, come let us explore what you should fill your fridge and kitchen shelves with! The Basics: Sweet potatoes is well-known not only for its just right “sweetness” but most especially due to its soft and smooth texture- that is why it’s included in the list, because despite sweet potatoes being “solid”; the linked negative assumption that comes with the idea of being a solid food that usually comes in terms of being “hard-to-swallow” is not a characteristic of this crop. Yet, the positive thing is in there- well, seems like eating this is hitting ‘two birds in one stone’, huh? Possibly. Anyway, so what’s with sweet potatoes that it deserves a spot here on our list? Packed with beta-carotene, vitamin C, and minerals, including iron and copper. Babies need iron in order to prevent the showcasing of the following: slow weight gain, lack of appetite, increased display of irritability, and worse, developing less inclination to physically activities due to the always feeling of being weak and tired. Blend the sweet potato until smooth and add water to achieve the desired form of consistency. Also, you could add raisins, sprinkle of cinnamon, and even peaches to the final serving! Voila, a nutrient-loaded food featuring sweet potato is now ready to fill up your baby’s tummy! The Basics: Generally, it is suggested that babies should be introduced with avocado only after their 6 months of age. Alongside, do you wanted to know one trivial thing about this fruit? The composition of it is likely in resemblance to that of breastmilk… let that sink in. Yay, what a very healthy food, indeed! Beyond from its buttery and creamy flavor emphasized with just the ‘mild’ sweetness that your baby could surely tolerate, what are the nutrients which could be found inside this delicate, earthy fruit that we have? 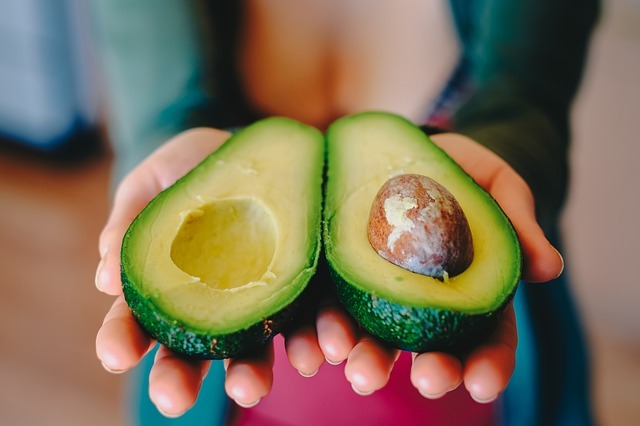 Avocados’ Main Nutrients: Avocados are rich in fats… oops, there’s nothing to worry about. That’s because this kind of fats are the ‘good’ kind of fats, specifically identified as monosaturated fats, are described as crucial for the development and maintenance of the cells within your baby’s system. Magnesium (sulfate) is found to be capable of protecting the fetal brain of the baby (before birth) shown in its capability of decreasing the possible acquisition risk of hypoxic-ischemic encephalopathy, cerebral palsy, and other brain injuries. In addition to that, magnesium is also proven to be essential towards the following functions: stabilizing the temperature of the body, manufacturing of nucleic acids and proteins in cellular levels, and most importantly, regulating the electric condition of nerve and muscle cells. Blend the avocado until smooth. In order to achieve the consistency needed, it is much recommended to add up breastmilk to it rather than water (water will still do, tho). In addition to that, the nutrients found in this will be much preserved if you’ll served this mashed avocado just as it is! Yogurt is suggested to be introduced only after 9 months of age (but if you have a history of dairy allergies, it is much suggested for you to check out your pediatrician’s opinion first). Nonetheless, yogurt by default is considered as a well-balanced food. Yogurt’s Main Nutrients: This creamy yogurt that we have here is reported to contain significant amount of vitamins mainly in form of vitamin D, and at the same time contains high levels of phosphorus and calcium. Alongside, as expected, it is also a good source of good bacteria that are identified as health promoting kind of probiotics- which basically is responsible for making sure that your baby’s guts is as healthy as it could possibly be. There is a wide-range of benefits that yogurts has to offer for you and it all comes down to a one simple functionality: with its probiotics contained, the stabilization of the good gut flora in your baby’s gut is achieved- therefore, enhancing the health of it in many different levels. Therefore, it can lead to relieving the pain and the illness itself in the forms of acid reflux, diarrhea (the infectious type- e.g. clostridium difficile infection and could even improve your child’s oral health. It is also reported to be of help in managing skin illness such as eczema. In introducing yogurt to your baby, it is much suggested to start with nothing but the plain and to give it to them in relatively small amounts: in which should be served 1 tsp and after applying our “1 to 3 Rule” you can consistently increase the serving up until you can serve a quarter of a cup of yogurt is a single day. When you are already at the stage where yogurt is introduced in the former said amount, you can combine it with additional fresh fruits such as berries or bits of avocados. 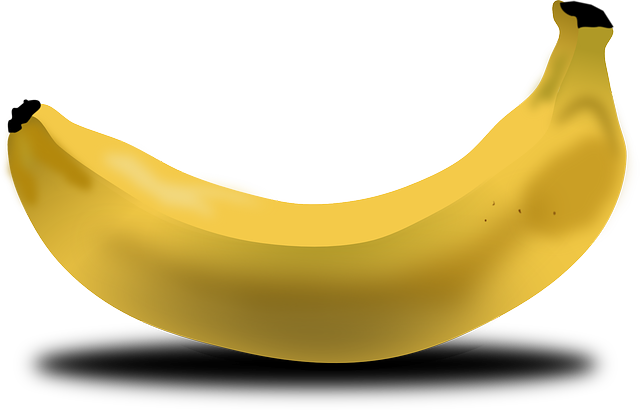 The Basics: Whether for adults or for infants, bananas are surely a placeholder among the identified healthiest foods- it’s not only beneficial for a highly particular kind of need, banana in its very composition is a ‘graced-filled’ fruit by default! As much as this to-go fruit is applicable for benefiting you in many ways, so do your baby. But really, what’s with bananas? Bananas’ Main Nutrients: Bananas has a lot of nutrients to offer more than just with the high-levels of potassium it is well-known for. In fact, bananas are known to contain vitamins mainly in forms of Vitamin C and B6 and has essential and non-essential nutrients such as manganese, magnesium, and potassium. Mash up the banana with fork and combine with either breast milk or avocado for additional nutrients and consistency (as applicable to the latter stated).